On Dec 4th, the first official press conference of the movie "Painted Skin" was hold in the afternoon in Beijing. This movie was invested $15 million, produced by 7 big movie companies and consists of many secrets of actors. Thus, it has recently attracted many people's attentions and the conference yesterday welcomed many guests: actors' fans, reporters and media. To make all people surprised six actors joining the movie wore mask when they appeared on the stage, Taking the masks off, they are: Chen Kun, Zhao Wei, Zhen Zi Dan, Zhou Xun, Sun Li and Qi Yu Wu. However, in the interview, no actor disclosed which roles they play. Thus, to the end of the conference which lasted over 3 hours, which actors play what role were in secret. 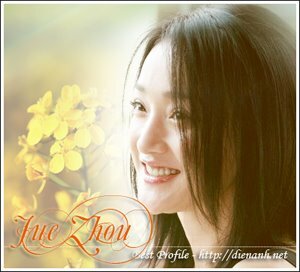 Some days ago some newspapers reported that Zhou Xun would play Shui Mei Ling, a female devil. She has to take men's heart to remain her beauty. Chen Kun would be Wang Ar, Mei Ling's ex-lover in the regeneration. At present, he has a good wife who love him very much (played by Zhao Wei). Chinese actors Sun Li would perform Meiling's sister.